How often do you say 'sorry'? I'm guessing it's more than you think. When you want to squeeze by someone blocking the aisle in the supermarket: "Sorry, would you mind if I squeeze by please?" When you need to get someone's attention: "Sorry, can I just ask…"
When you arrive early to meet a friend and she's already there: "I'm so sorry I kept you waiting". Sound familiar? All of these scenarios have something in common – an apology isn't necessary or expected. There is nothing in these situations that suggests you've done something wrong and need to make amends. There's nothing wrong in wanting to walk along a supermarket aisle when another person is blocking the way, or to ask someone a question, so why apologise? 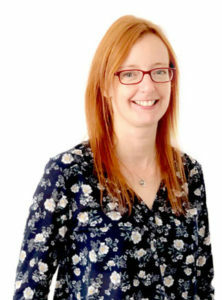 You simply want to attract the person's attention, in a polite and friendly manner, so wouldn't a 'hello' or an 'excuse me' work better in these situations? You and your are friend both arrive early to meet each other, neither of you are late so that's great, you get even more time together! You have nothing to apologise for. So why does it matter if you use the word 'sorry' in this way? Well, saying 'sorry' isn't the same as saying 'hello' or 'excuse me' because it isn't neutral, it's an apology. It's an admission that you're in the wrong. By using the word 'sorry' you aren't simply getting a person's attention, you're apologising for getting their attention, for speaking up, for taking up space. You're telling the other person that you're wrong to be there, in that space, speaking up, when there is nothing to apologise for. Think about what the response is to an apology – forgiveness. So, in these kinds of situations, why is forgiveness needed, what do you need to be forgiven for? For being here, in the world? For being you? Perhaps you don't have an apologetic feeling behind the word sorry when you use it in these kinds of circumstances. It's just a word that you habitually use to politely get someone's attention. You may not have apology as your intention so why use an apologetic word? 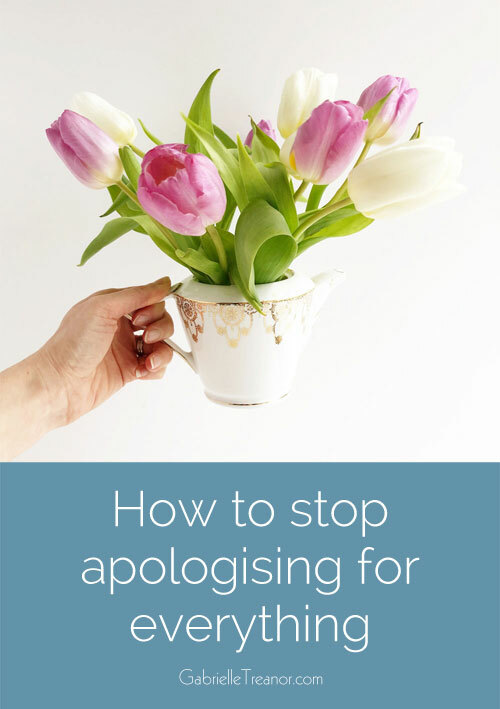 Although you don't feel sorry for what you're saying or doing (and there's no reason why you would) the recipient doesn't know that and they would understandably believe you to be apologising. Being mindful of the words we use not only reduces the likelihood of being misunderstood but also ensures that we represent ourselves as we truly are. There are other times when rather than saying sorry the words 'thank you' may be more appropriate. For example, you've had a difficult day and you let off steam about your boss's unreasonable demands to a friend. They've listened, been sympathetic and supportive. And so you apologise for moaning to them and being so negative. We all have challenges and tough days where we need to share how we feel with a caring friend. So is this a bad thing to do? Are we wrong to share how we're feeling? Is this something we should apologise for? What if, instead, we thank our friend for listening to us rather than apologising to them? As caring friends that's what we do for each other, we listen and give whatever support we can. When you help a friend you don't do it expecting to be thanked but you certainly don't do it expecting to be apologised to. Being appreciated and thanked for being a supportive friend makes you feel good and glad that you could be there for them. Your friend apologising to you for kindness you freely gave is quite different. If anything it makes you feel that you haven't been of any help to them, that they're just as stressed out as if they'd never opened up to you. Just imagine a scenario where you swap the word 'sorry' for the word 'thanks'. How does that feel? What shift can you sense in moving from a place of apology to a place of gratitude? You are allowed to speak up, to feel what you're feeling, to express yourself, to take up space in the world. Of course you want to be kind, courteous and compassionate to those around you and you can be all of those things. You can get someone's attention with a smile and a friendly 'hello' or 'excuse me' before making your request. Being the second person to arrive at a meeting doesn't make you late or in the wrong. You can thank a friend for listening, for their support, for being your friend. We all have times when the right thing to do is to say sorry. So when you feel you want to make amends apologise sincerely, from the heart, and take the forgiveness offered graciously. Apologies are for when something wrong has been said or done. Apologies are not for simply being you – thoughtful, considerate, caring you.